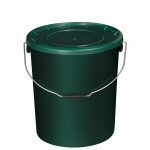 A range of plastic buckets in naturally camouflaged colours. 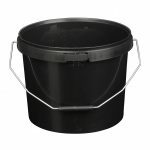 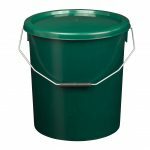 These larger buckets are ideal for storing and transporting bait, plus any other fishing gear you have. 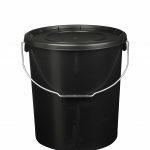 Manufactured from high-impact polypropylene, the containers are solid and long-lasting. 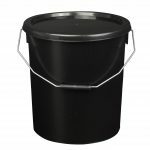 They also come with a secure tamper-evident lid, which is particularly helpful if you or your partner is squeamish around live bait. 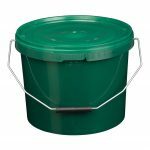 And for keen anglers, the plastic buckets are also good for mixing groundbait.